Spending time in your garden helps raise your mood and recharge your batteries. Creating a space to unwind will help you escape this summer. 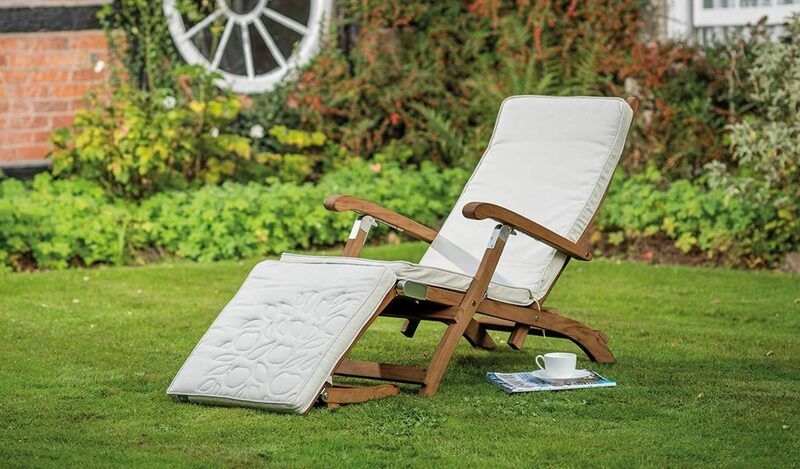 See our helpful tips to add comfortable, homely touches to your garden. 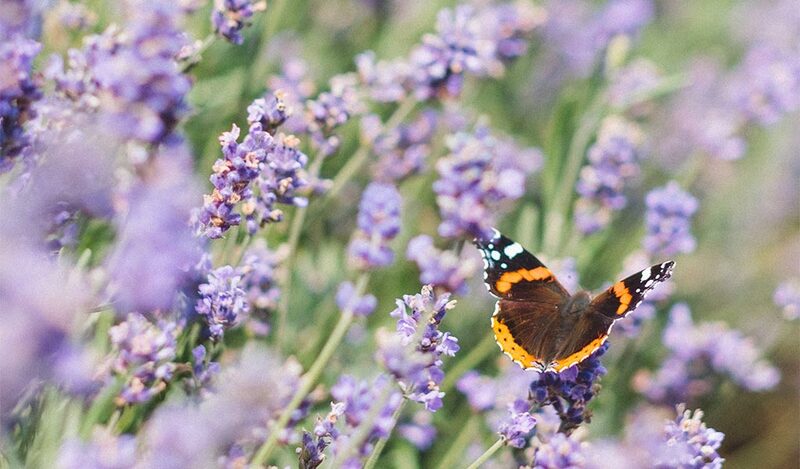 Pick a calming theme from the latest garden trends to help you relax. An idyllic country garden filled with big green hedges and traditional garden furniture helps us forget about the fast-paced, tech-filled world. 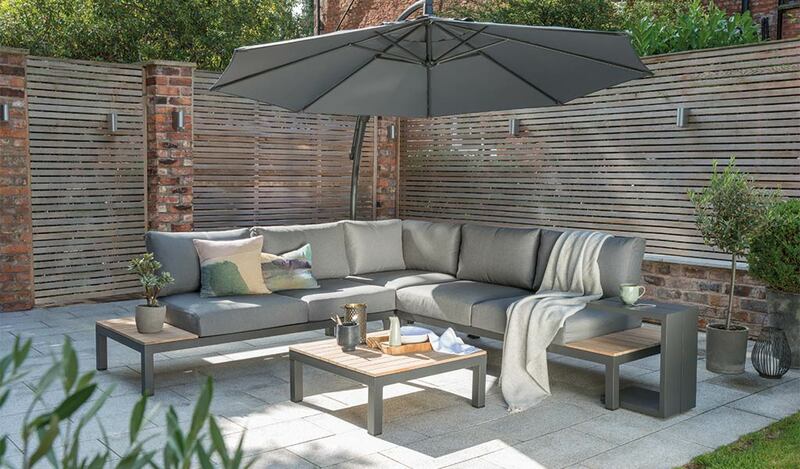 For a modern garden design try the Nordic style, with simple lines, natural colour palette and ultra-soft furniture. A Japanese Zen garden has a stripped back style with flowing water features, low, comfy seating and large, decorative stacked rocks. A Buddhist statue helps achieve a peaceful state of mind. For so many, comfort means hiding away, and the garden is the perfect place to escape everything. Finding your nook is easy. Pick a spot that isn’t overlooked by neighbours or near the kids’ play area. 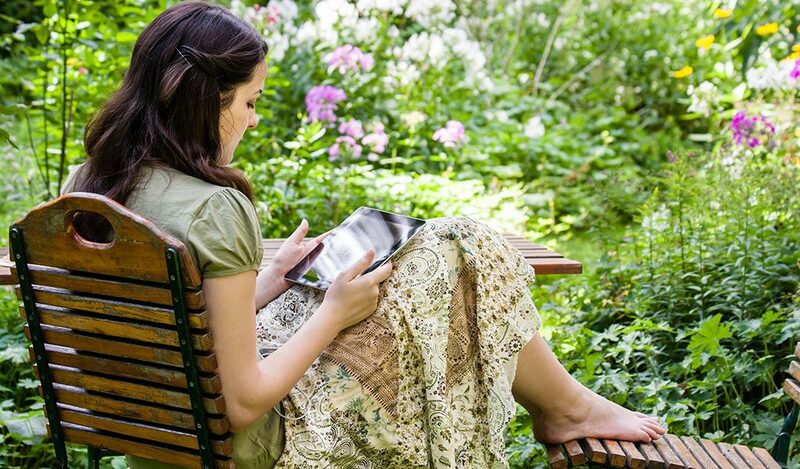 Surround yourself with tall plants or fences and put your feet up with a good book. Escape the noise of the street in an urban garden with simple garden accessories. 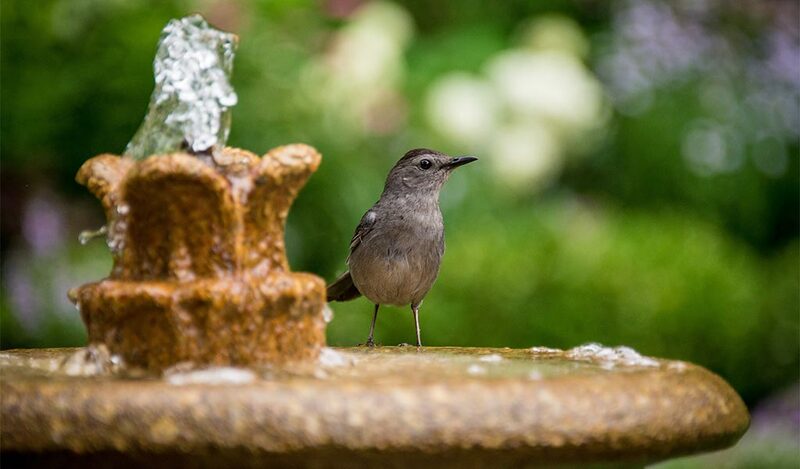 Wooden bamboo chimes and a water feature or bird bath bring soft and natural sounds. Introduce calming music to your garden with a wireless parasol speaker or enjoy the natural sounds of a light breeze rustling the trees and plants around you. Planting sweet-scented flowers such as gardenia, lavender or sweet peas in your garden not only add fragrance but also helps reduce stress through gardening. These colourful flowers make your garden look warm and welcoming with vibrant petals. Planting herbs in the garden add a fresh fragrance and can be used in dishes at meal times. Visit your local garden centre or nursery for help on what’s best to plant or pot in your garden. Look for indoor furniture for outdoors, such as a family corner sofa with thick cushions. Put your feet up on an outdoor footstool and bring garden accessories, such as a side table or coffee table to your patio. Utilise shade on a warm day with a parasol or sit under a tree to enjoy a cool breeze. If you have a garden with a great view, don’t block it up with trees and hedges. For the ultimate touch of leisure in your garden, soak up the bubbles in a hot tub to relieve stress.